We’re back in stock! Get your local raw honey now! 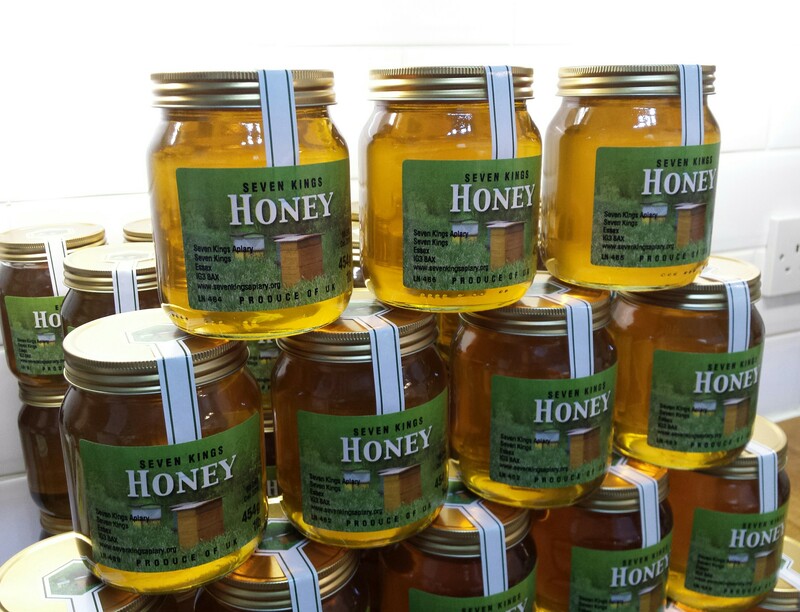 We have pure, raw local honey back in stock and available in 454g/1lb jars. The very warm summer and a worsening of hayfever symptoms resulted in a rush and we were completely sold out for a few weeks. As I was busy with work and away quite a lot, I couldn’t process honey, but that has now been resolved. We have our own Seven Kings honey produced by our bees in Seven Kings. This is a light, runny, multi floral honey – that just means it is made with nectar from lots of different flowers – and is £7 for a 454g/1lb jar. It tastes delicious, just as honey should. We also have some light, clear runny Essex honey produced by a friend’s bees about 15 miles from us. It is also a multi floral honey very like ours, but has a slight caramel note to the flavour. It’s simply divine and is £6 for a 454g/1lb jar. Finally, we have cut comb in honey, which honey that is still contained in the cells the bees made. We cut squares out of the frames from the hive and present them in small, clear resealable boxes. This is on SPECIAL at £4.50 for 227g (each box is weighed separately). If you’d like some, simply call me on 07894 419800 or email us on sevenkingsapiary@gmail.com to fix a time to collect.